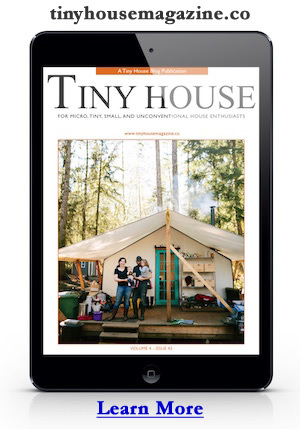 The Tiny House Project – Bring On The Competition! I haven’t been THIS excited about tiny houses since I first saw a photo of Jay Shafer’s tiny house. The Tiny House Project seems to be designed to take tiny house design (in general, not my blog) to the next level. If you’ve been following my madness and passion for tiny house design this past year you know how my imagination has just accelerated to warp-9. I really want to be one of those nine artists chosen, but the competition is going to be steep. But I’m more excited to see The Tiny House Project become a huge success no matter who wins. I’m truly not in this for money, fame, glory, or feathers in my cap. I’m in it for the fun and because I honestly believe that tiny houses give us an opportunity to reflect on their own lives and how our choices make an enormous impact on our lives. When we choose to live simply we choose freedom. We also make less of an impact on the planet, which is also terribly important, but the most immediate benefit is the lifting of burdens like those self-impose by taking on mountains of debt. Tiny houses are the physical manifestation and poetic expression of freedom, sustainability, and self-sufficiency. If you’re interested in learning more just visit The Tiny House Project and take a look around. Be sure to subscribe to their RSS feed and sign up on their mailing list… and then… if you choose to enter the competition… I’ll meet you on the tiny house design field! The photo is of my tiny free house roof. For the competition I’ll come up with something brand new. This entry was posted in Community Design, Tiny Living and tagged competition, tiny house, tiny house design, Tiny House Projects.